No collection is complete without a classic pearl bracelet! 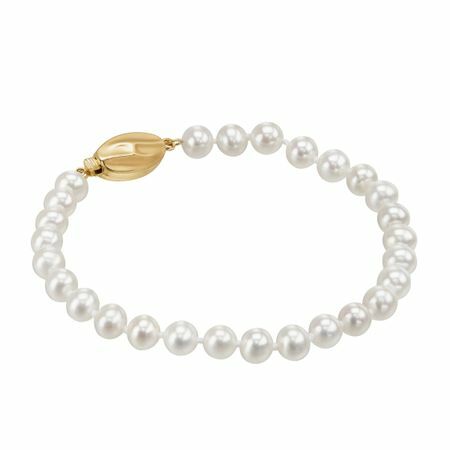 5-6 mm freshwater pearls are neatly strung side-by-side, finished with a 14K gold pearl clasp for enduring class and shine. Piece measures 7 inches in length.